Photo: Clark Mountain, California, from Halloran Summit. Eastern Mojave Vegetation Clark Mountain, California, from Halloran Summit. Photograph taken April 23, 2004. Frequently Asked Questions: Clark Mountain. U. S. Interstate 15: Halloran Summit. 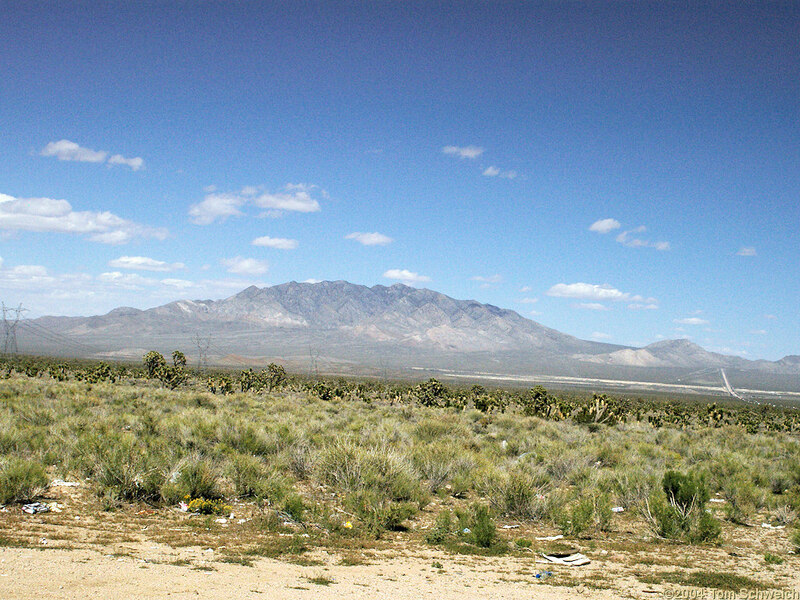 Other photos about Geography - Eastern Mojave or Clark Mountain.